LaGuardia Airport is the closest airport to Manhattan. For a while, it was my favorite NYC airport to fly into because I could take a taxi without it costing me an arm and a leg. If it is close to Manhattan, it should be easiest to get to right? Well, unfortunately, that is not the case. Getting from LGA to Manhattan can be a hassle. Construction has made it difficult (or more time consuming) to take taxis. If you want to save money and use public transportation, it is not as straightforward as you would think. 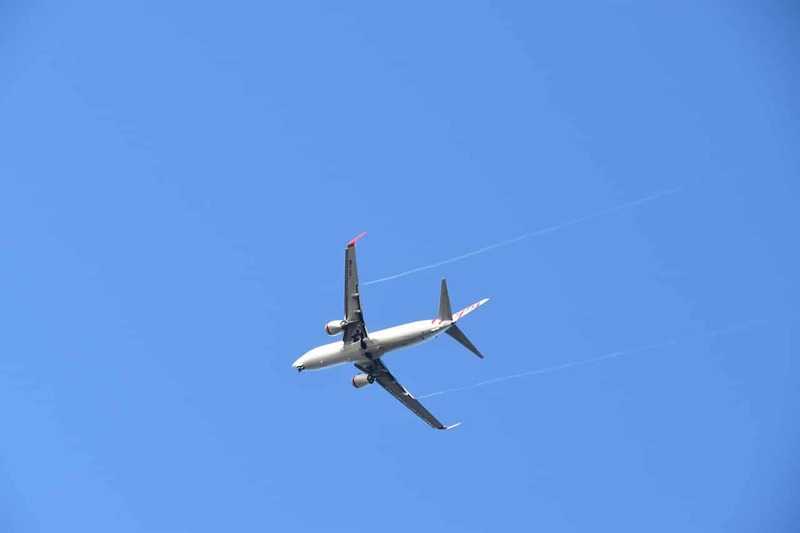 If you plan on traveling in or out of LaGuardia Airport, you need to know about the construction and the different ways to get from LGA Airport to Manhattan. I will also go over the pros and cons of the different ways to go to LaGuardia. Regardless of which LGA ground transportation option you choose, allow extra time to make sure you are able to make your flight. If you have been to LaGuardia Airport then you can understand why Joe Biden said: “If I took you and blindfolded you and took you to LaGuardia Airport in New York, you’d think, ‘I must be in some third-world country.” The good news is work is going on to improve the situation. The bad news is this construction makes it more difficult to access LGA airport. Construction on the LaGuardia Airport Terminals is not scheduled to be completed until 2021. 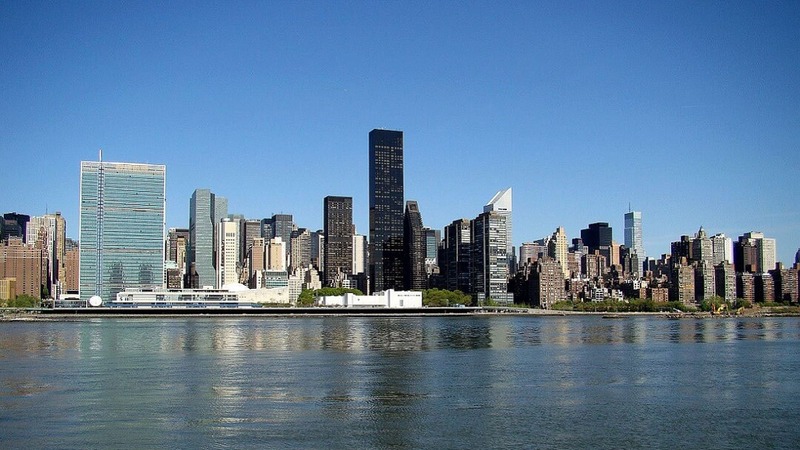 Technically, the construction is called the LaGuardia International Airport Redevelopment Project. It includes a new Central Terminal Building (Terminal B), an improved runway, and adding two new parking garages. In addition, an AirTrain will be added so that LGA will have a rail link to the subway (7 train) and Long Island Railroad (LIRR) at Willets Point. They estimate that this will allow you to go from Penn Station to LGA in under 30 minutes using the LIRR. The work on the AirTrain is not scheduled to be complete until 2022. Overall, traffic getting into and out of LaGuardia will be worse during this construction period, but passengers traveling in and out of Terminal B will be impacted the most. Canada Airlines, American Airlines, United Airlines, and Southwest all use Terminal B. Passengers arriving into Terminal B will have to go to the passenger pick up area on Level 2 of the Terminal B Parking Garage to get their car service, Uber, or other app-based ride. In this table, you will find a summary of the different ways that you can travel from LGA to Manhattan. Below the table, I explain the transportation option in more detail. - More affordable than an individual car if you are traveling alone. Book GoAirlink Shuttle online here. - The bus portion of the journey can be affected by traffic. Long Island Railroad (LIRR) None - Requires a transfer from the bus to the LIRR so it will take longer and be more difficult with a lot of baggage. - Bus portion of the journey can be affected by traffic. - More expensive than the subway but not much faster. $2.75 one way or included as part of an unlimited MetroCard + $8.75 for LIRR fare ($6.25 during off-peak hours) per person Buy MetroCard at a vending machine at LaGuardia Airport and your LIRR ticket at a vending machine at the Woodside Station. Unlike when you travel from JFK airport, there are no fixed rates for taxis from LaGuardia. Depending on where in Manhattan you are headed, taxis can range for $25 to $40. Also, keep in mind there could be traffic. During rush hour, it’s almost a guarantee. At other times, it is possible too especially with the construction. Since the ride is metered, the more traffic the more you can expect to pay with a taxi. You can easily spot the taxi stands just outside baggage claim. At peak times, expect a wait. Sometimes an NYC taxi can be an efficient way to get around the city. If there is no surge pricing, then taking an Uber will be cheaper than taking a taxi from LaGuardia to Manhattan. The catch is that it is hard to predict if there will be surge pricing when you need the car. You can try to schedule a car but if there is a delay with your flight that might be an issue. I recommend checking the Uber app as soon as you land to see the prices. If you are open to doing an Uber pool where you share the car with other riders that might be the best option. If the prices are high, you can always head for the taxi line. A car service may be the most expensive way to get from LGA to Manhattan but it is probably the fastest and simplest option. Your driver will pick you up at the airport and then take you straight to your destination. If you have a lot of luggage, it is probably worth the splurge. My favorite car service company is Carmel. They are one of the cheaper car service companies, but even more importantly they are reliable. Book online and even earn frequent flyer miles for the ride. That’s a nice perk! NYC Airport Express Service (formerly known as NY Airporter) provides a direct bus from LaGuardia Airport to Manhattan. They have bus stops at Grand Central, Times Square, and Port Authority. The LGA Express Bus runs hourly from 11 am to 7 pm. After exiting the secured area look for the red NYC Airport Express Service signs by baggage claim. The agent will direct you to the Manhattan-bound bus line. If you are heading to LaGuardia, you need to pick up the bus at either Grand Central or Port Authority. There are no pickups from Times Square. They say that you should allow one hour for travel time because there may be traffic. It’s nice to have a bus that takes you directly from LaGuardia Airport to midtown Manhattan, especially if the stops are close to where you are staying. You give the driver your luggage and then you don’t have to deal with it until you get to Manhattan. I do wish the bus ran more frequently, but I guess you have to work around that if you want to save a little money. Purchase your NYC Express Bus tickets online here. There is also an option to do a door to door airport shuttle between LaGuardia and NYC with Go AirLink. If you have a lot of luggage and are traveling solo, this might be the easiest low-cost option. You don’t have to worry about dragging your bags up any stairs! 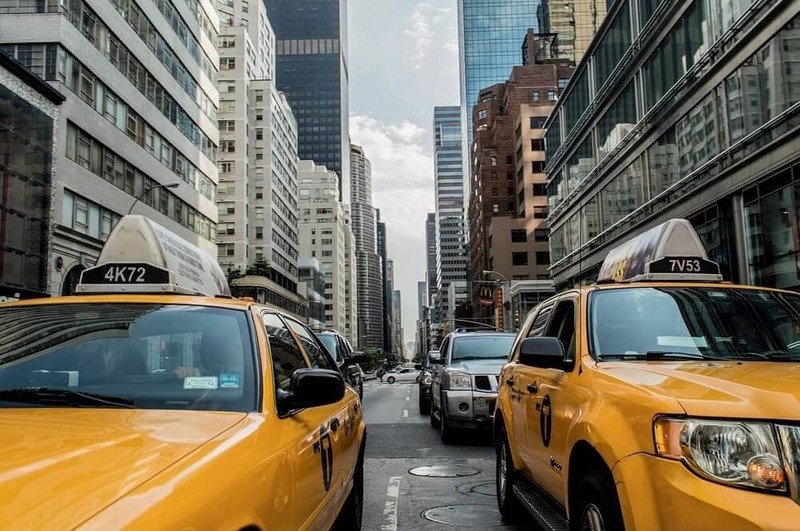 Be sure to check the price first though because, with LaGuardia airport shuttles, you might not save that much compared to taking a taxi or car service. The price on the shuttle seems to be about the same as what you would pay for JFK, even though LGA is closer. Click here to get more info on the LaGuardia shuttle from Go Airlink NYC. The cheapest way to get from LGA to Manhattan is taking public transportation. Unfortunately, there is no direct subway connection to or from LGA. In 2016, the MTA rebranded the Q70 bus the LaGuardia Link. It runs from Terminals B, C, and D to the Jackson Heights Subway Station (where you can catch the E, M, F, R, and 7 trains) and the Woodside Station (where you can catch the 7 train). The bus goes directly between the airport and the subway, but of course, it can get stuck like other vehicles when traffic is rough. From Terminal A, you can take the Q47 bus which connects to the 7, E, F, M, R subway lines at 74 St/Roosevelt Ave or the M60 SBS which takes you to upper Manhattan. You can switch to the 2, 3, 4, 5, 6, A, B, C, D subway lines along 125 St. If you are on a budget, this is probably the best way to Manhattan from LaGuardia. If you have a lot of luggage this could be a pain. I guess that is some incentive to pack light? 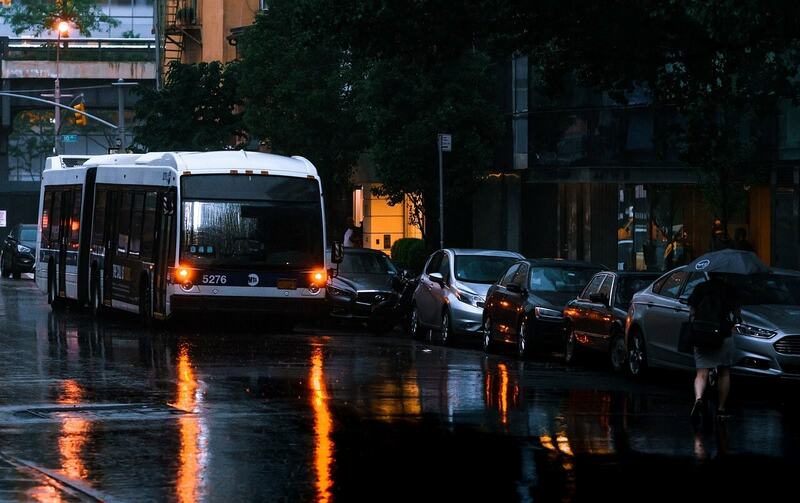 NYC buses can be an affordable way to get around if there are no traffic issues. If only the subway connected directly to LaGuardia Airport! I do not recommend taking the LIRR from LaGuardia Airport. It does not connect directly with LaGuardia Airport. You have to take the LaGuardia Link Bus to the Woodside Station and then transfer to the LIRR. As mentioned above, this can be difficult with bags and there can be delays with traffic. You would also be at the mercy of the LIRR schedule. It does not run as frequently as the subway does. 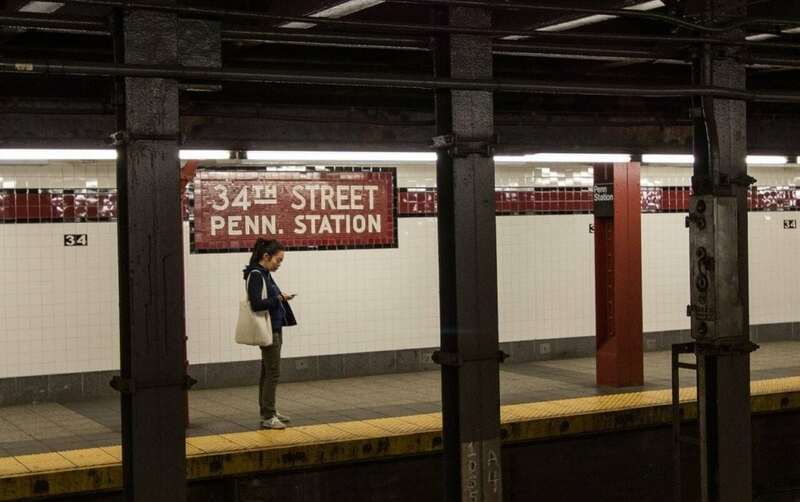 Once you get on the train, it would be a short journey to Penn Station. From there, you can connect to several subways to get to other parts of Manhattan or catch a taxi. Traffic is unpredictable, always allow extra time, especially when going to the airport to catch your flight. It is always easier if you have less luggage, check out our packing tips for some specific suggestions. If one of your fellow passengers is headed in a similar direction, you may be able to share a taxi, uber, or car service to save money. It doesn’t hurt to ask. While all the transportation options can be paid for by credit cards, you might want to have a few dollars to tip your driver if you are taking the Express Bus or Door to Door Shuttle. For other options, the gratuity can be added to your credit card bill. The best option is to reserve a car service in advance. That way you will have your transportation ready when you land. The driver will help you with your luggage and take you directly to your destination. If you book with Carmel, you even earn frequent flyer miles. It may be a little bit of a splurge, but it will be less stressful and you will save time. If you are on a tight budget, it’s best to go with public transportation. It will take you a little longer but will save you money in return. If you can, pack light so you don’t have to worry about heavy bags on stairs. Have you traveled to or from LGA airport? What has been your experience with LGA transportation to Manhattan? The taxi rate from LGA to Manhattan is not fixed, so be prepared to pay more if there is traffic. Watch out for surge pricing on Uber. If you are on a tight budget, public transportation will be your best option. Avoid flights where you have to transfer to another NYC airport if possible because it is not easy. If you have to travel from LGA to another NYC airport (i.e. JFK or EWR), check out my post on NYC airport transfers for guidance.